Your clients and your employees are sure to drink in this awesome, American-made item. Grab people's attention with this blank mood straw. 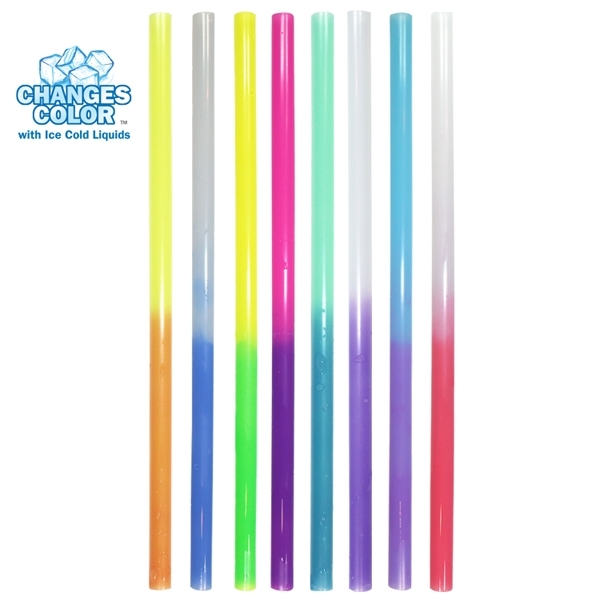 This heavy-duty plastic straw makes a great addition to your already imprinted travel tumbler. This fun straw changes color with ice cold liquids. A great choice for bars or restaurants for a unique twist to their next company party or event. Order yours today! Size: 9 " x 0.34 "